Is dark matter hiding in plain sight? Three galaxy clusters—Virgo, Fornax and Coma, showed an excess of high-energy gamma-rays that couldn’t be accounted for from sources such as pulsars, gamma-ray bursts or background emissions – including from within our own Galaxy. Something else seemed to be emitting radiation; something that continued three degrees out from the clusters (around six times the diameter of the full moon on the sky). However, they couldn’t be sure if the neutralino or some other effect was responsible. The problem is that dark matter, save for its gravitational effect on radiation and normal matter (the type that makes up stars, galaxies, planets, nebulae, etc. ), has never revealed itself. It’s a field of intense study in astrophysics as it accounts for 83-per cent of all the matter in the Universe – forming the nucleation sites of galaxies and creating the large-scale cosmic structure that we see. This ‘lumpiness’ favours cold dark matter theories as warm dark matter would be too energetic to coalesce. The neutralino, a ‘supersymmetric’ particle is the favoured candidate. It is its own antiparticle so self-annihilations should produce gamma-rays of between 10—10,000Gev. Now a team from New Zealand think that what they have spotted could indeed be neutralino annihilations, but they also sound a note of caution. 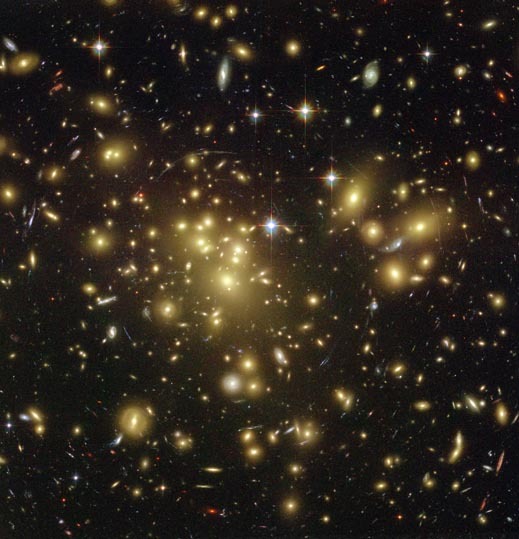 Oscar Macías-Ramírez and his team from Canterbury University, Christchurch, used simulations from a study called the Phoenix Project* to model galaxy cluster Dark Matter halos and subhalos. They looked at the previous study by Han, Frank et al which had a strong (but not conclusive) claim to detecting neutralino annihilations. This weakened when cosmic ray contributions were added. This could be an explanation. Read the rest of the article here.